It’s an amazing film. A film that made me remember something that seemed to be forgotten but at the same time still there, a warm recollection of Vrindavan…First steps, first attempts to understand that the world doesn’t belong to you but to the One who is the best flute player…Passion, attempt to get everything from this world and everything-must-be-my-way attitude leads a tired traveller into a beautiful and peaceful place – just like it happened one day to me. This film has a deep meaning and immerses the viewer into amazing picturesque scenes of Vrindavan nature and its inhabitants. Maybe for a worldly person the film would seem lacking a bit of passion and action but its authors set it to be a more meditative and peaceful film that immerses the viewer not only by professional filming but by an amazing sound arrangement as well. This film represents an immersion into sounds, images, scents…It seems that you can reach out your hand or make a step and you are there again, trying to reconnect with the eternal. Thank you very much, I had a great pleasure watching it! 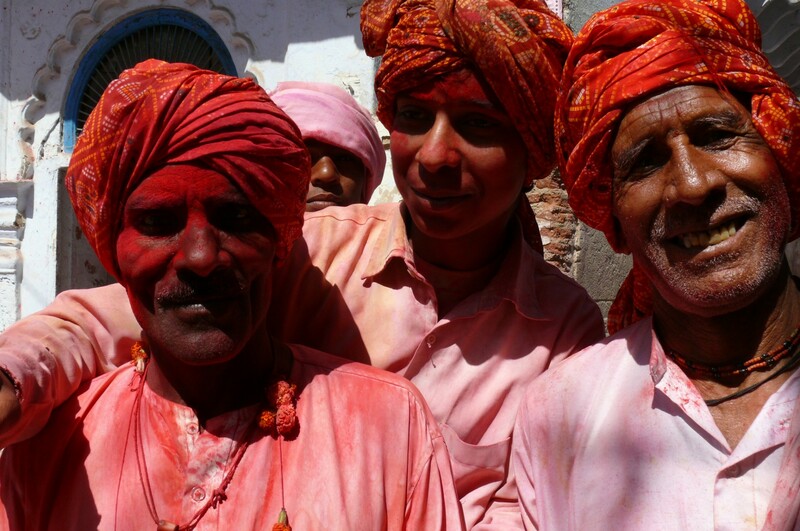 On the picture: Holi festival at Javat. On the set of the “Reconnection”, an award-winning film.